I'd like to wish all of my Slania collecting buddies out there a big Happy New Year! 2015 wasn't a great year for me. I spent most of the year weighed down by a shocking illness that sapped all my desire to do stamping, and other stamping stuff such as writing my blogs. But now I am getting on top of the illness and it is now a New Year. I really look forward to 2016. I have plenty of new goals to strive to achieve, one of these goals being spending more time on my stamps and on this blog and my other blogs. Although I haven't much felt like stamping and blogging for most of the year, I have been still buying stamps for my collection. In fact, I just pulled all of my purchases out and, whoa!, I have a heck of a lot to do. The pile is quite substantial. I had no idea I had purchased so much through the year! 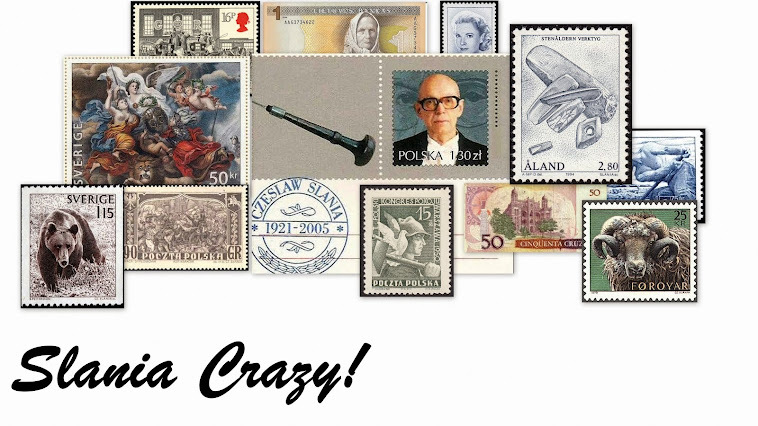 I have more stamps from Poland to add - in fact, I'm quite close to completing my Poland collection. I now have a complete collection of Iceland to be sorted, albumed, and scanned. I have some more Monaco stamps, some banknotes, and even some really cool covers! And I know some of you are waiting for my review of the Slania catalogue I purchased in 2015. I promise that is on its way too! Sounds great...happy you are better...and ready to stamp! Cheers Carlos! I look forward to the year to come! Looking forward to the new year and some more pages! Cheers! I'm glad you are enjoying the blog. Have a great year! Great to have you back blogging and here's hoping 2016 will be a better year for you! Thanks for the well wishes, Adrian! I look forward to posting lots of blogs and reading all of yours, too! I wish you strenght needed to mantain and develope this great blog. And looking forward to read some stunning words from you. As you know I am waiting for your review of the catalogue you purchased. This is important for me, because I started collecting Slania items just after I bought this catalogue back in 2007. And I hope this catalogue was also important for you. I Received - A Terrific Denmark Cover!